Let the games begin! 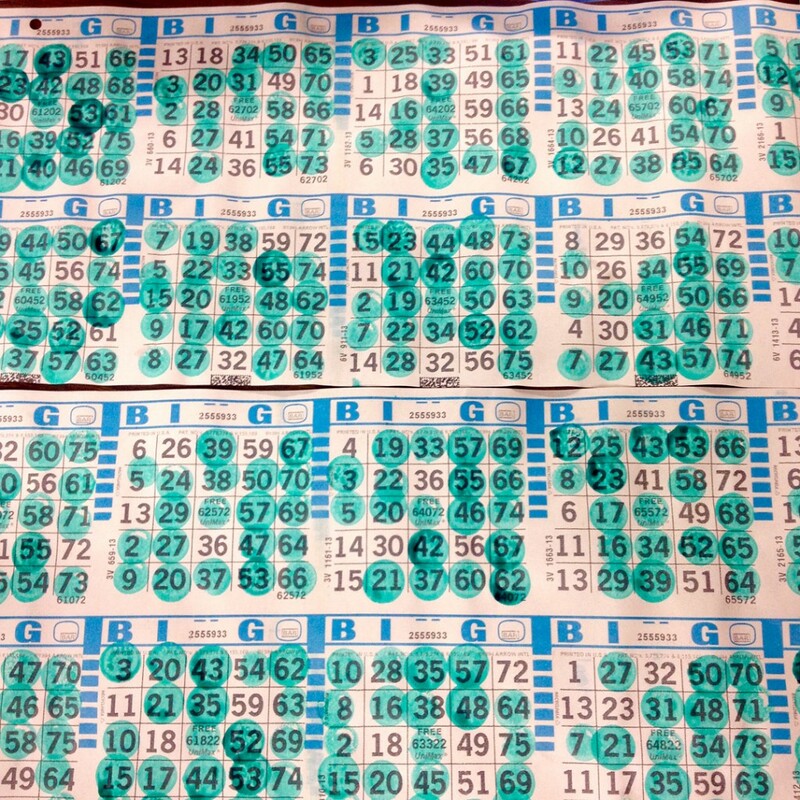 We started out last night with so much promise of the hours of bingo fun to come… but ended with COVER ALL. Needless to say, I didn’t!!! 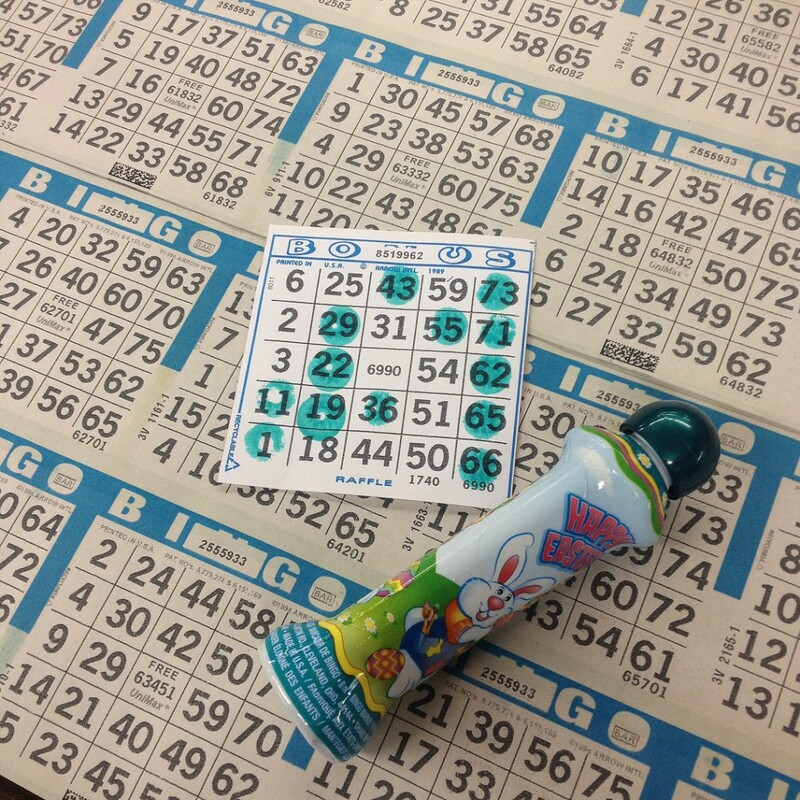 Hey, at least we had hours off fun with the “usual cast of colorful characters at the Bingo Hall. And I walked away with the free “Happy Easter” bingo dauber they were giving away. So not a total loss!